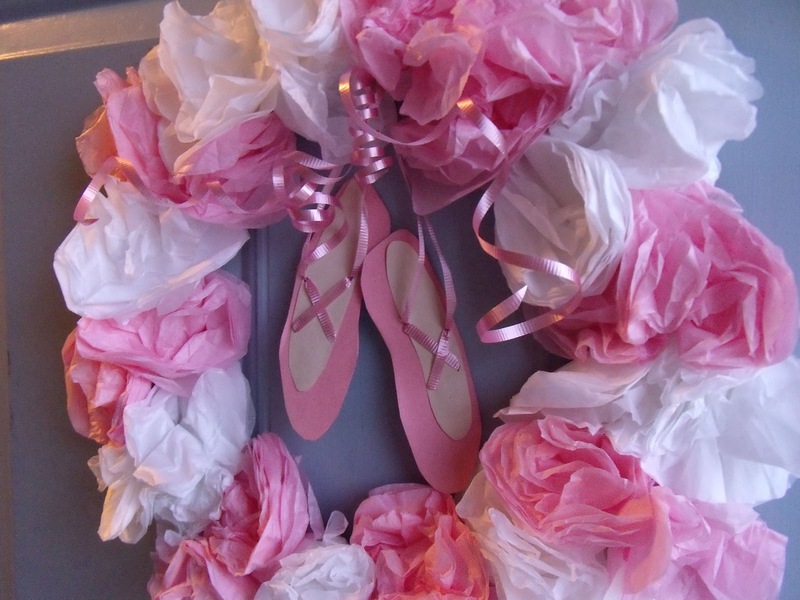 After sending out our ballet invitations, I started to shop around for decorations for Holly’s third birthday party. 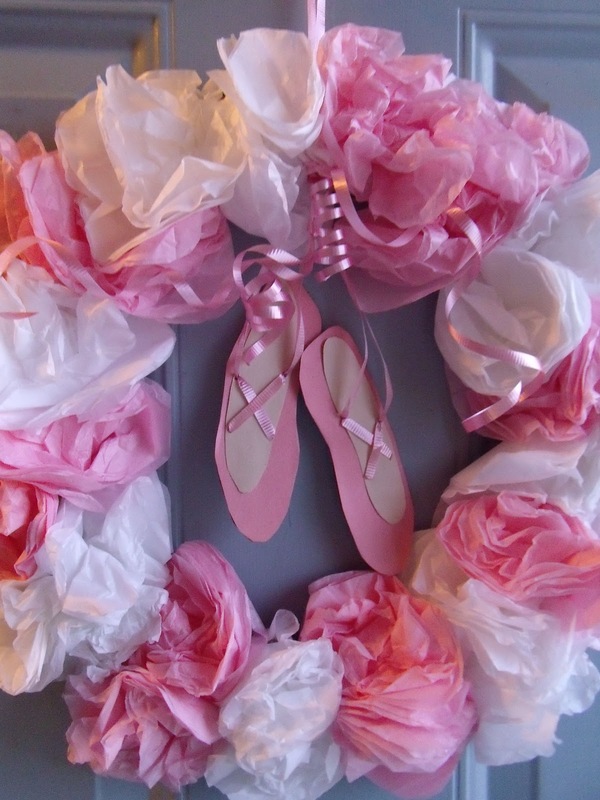 It turns out that ballet themed decorations are hard to come by. 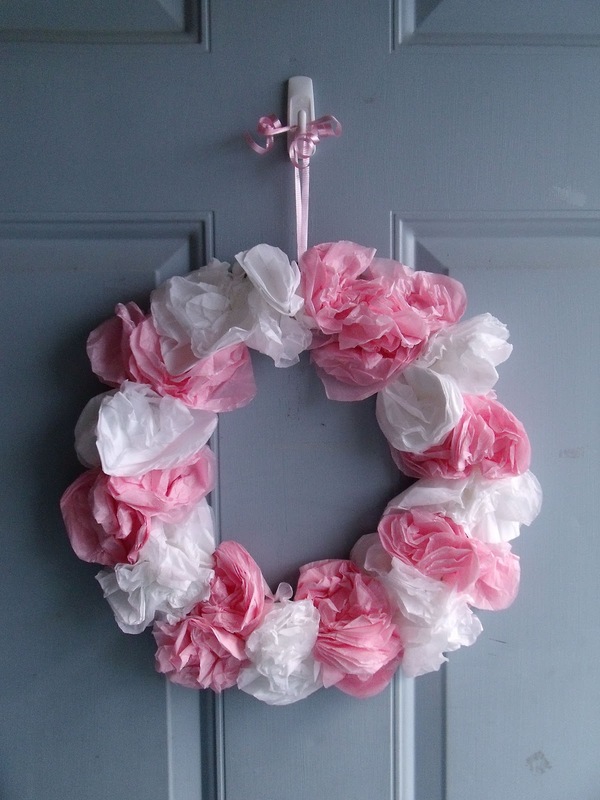 So, I decided to keep everything in the pink and white colour theme, and do a few simple DIY projects including this cute (and super easy to make) tissue paper ballerina wreath! 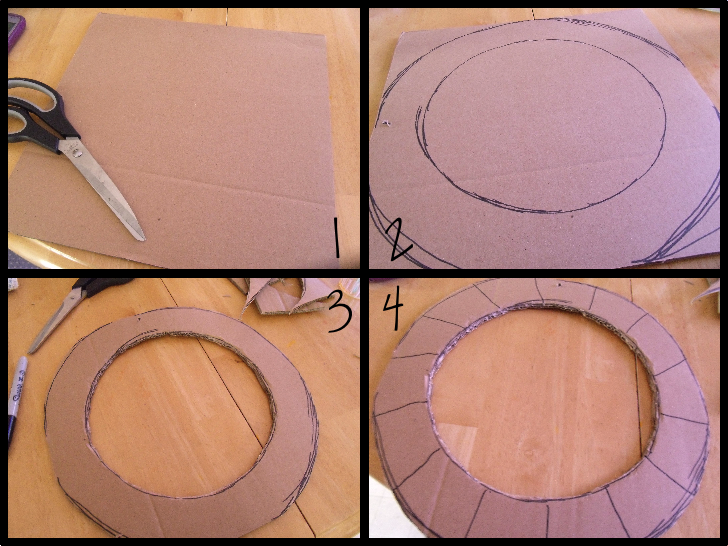 I took a piece of cardboard and cut it into a wreath template. 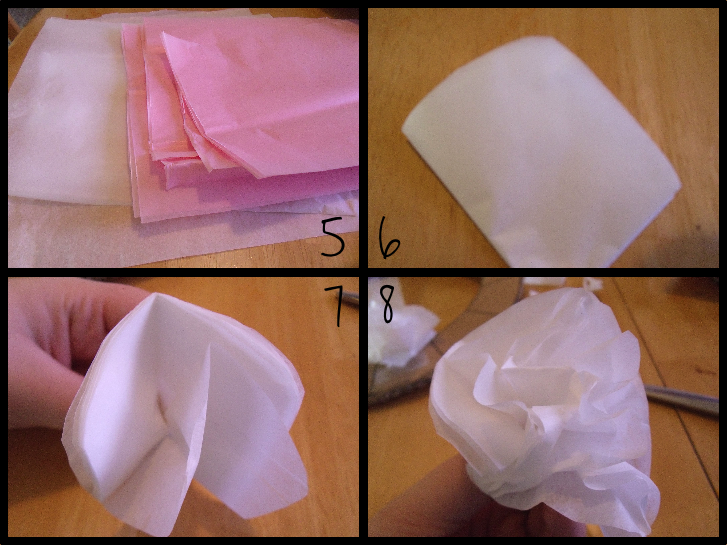 I then divided it into roughly equal sections so that I would know where to alternate my tissue paper colours. 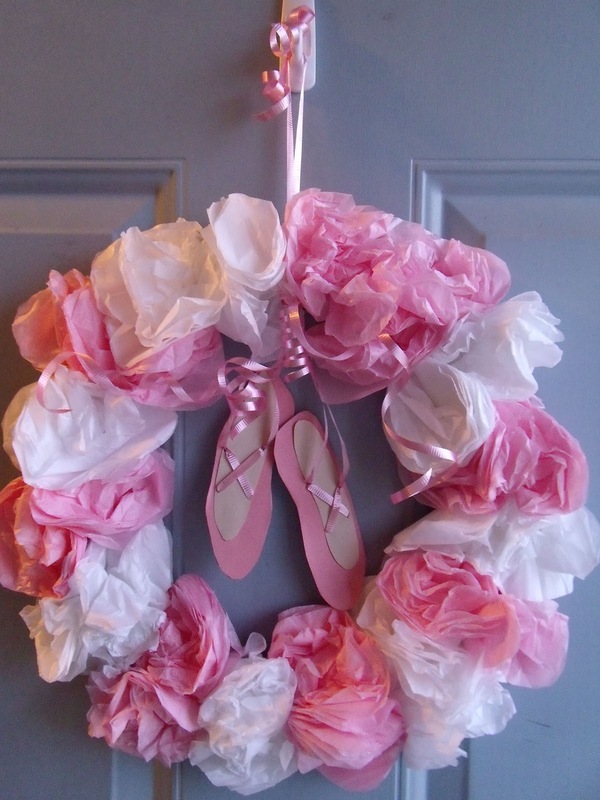 Next, I used this technique (similar to what I did for the invitations) in a mini version to make several pink and white pom-poms. 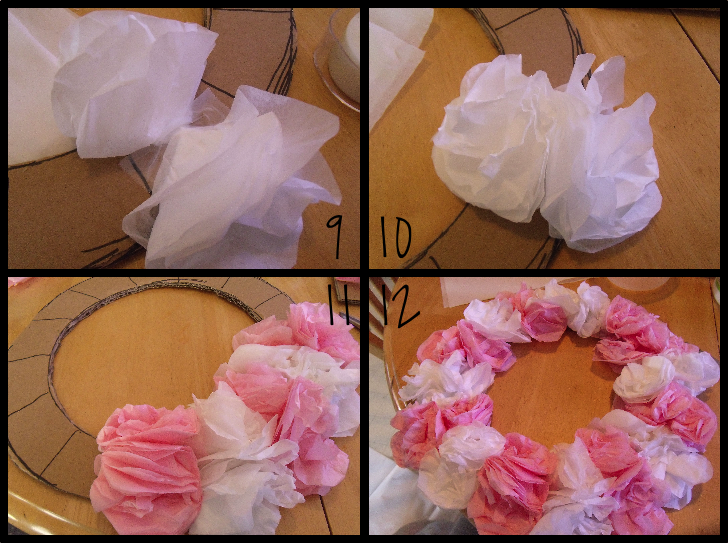 I taped them to the wreath (two in each divided section) and then fluffed them up really well to hide the tape. I switched to the opposite colour and repeated in the next section. I kept doing this until the wreath was full. I poked a hole through the cardboard underneath the tissue paper and pulled a ribbon through. 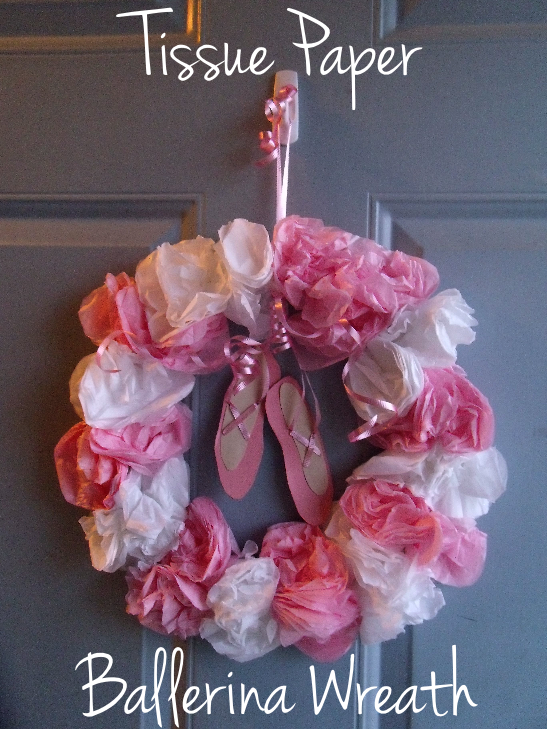 Finally, I curled the ribbon and hung it on my door. …but it just didn’t look “ballerina-y” enough. So, I added some slippers. 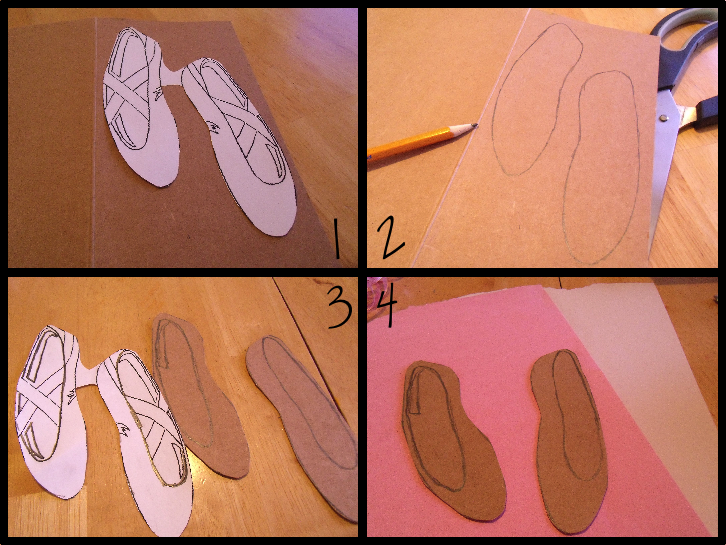 I printed out a picture of some ballet shoes, and traced them onto cardboard. I cut out the cardboard tracing, and traced again onto pink construction paper. I then tried to create the inside of the shoe out of white construction paper. 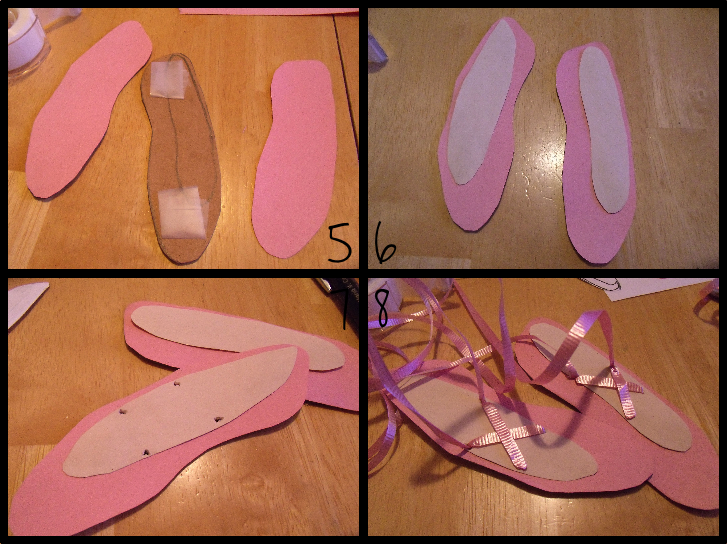 I attached the construction paper cut-outs with tape, and used a pencil to make four small holes in the shoes. 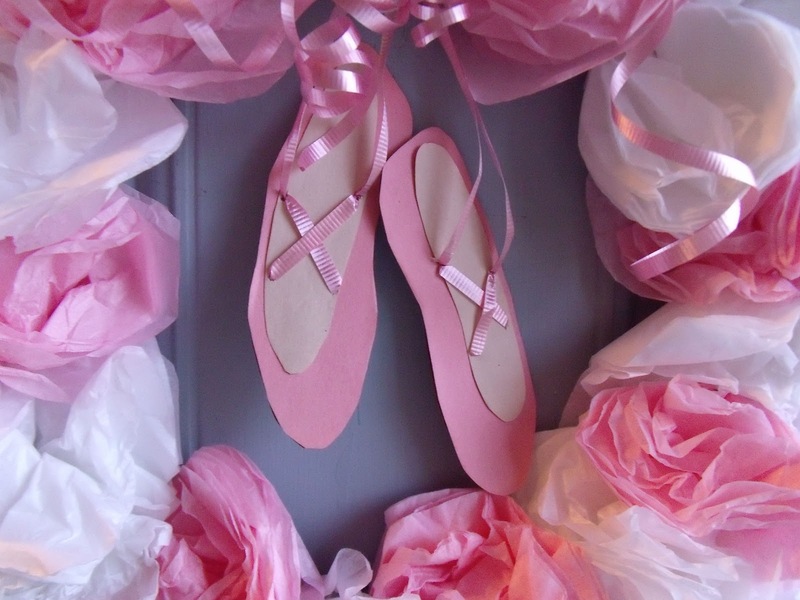 Finally, I strung pink ribbon through the shoes in a criss-cross pattern to resemble real ballet shoes. I made sure to leave enough ribbon hanging to attach them to the wreath. I attached the shoes through another hole under the tissue paper, and was all finished! …and I made sure to curl the ribbon well.